ADDING THE FLAVOR THAT TASTES LIKE SUCCESS! Titan Injection is a leading producer and supplier of equipment for the food processing industry. Our team manufactures custom machines that are ideal for high volume production lines that process beef, pork, fish, poultry, and other meats. We offer a complete line of turn-key products for marination, injection, mixing, and cooling. Titan’s superior equipment uses injection needles to fully tenderize the meat and add flavor. The result is juicer meats, happier customers, and a welcomed boost in your sales. All of our equipment is designed and manufactured to meet the tough demands of the meat industry. Titan Injection builds each machine to your specifications, ensuring quality results in all of your meat processing and flavoring. Our fabrication team can even build machines that have bone-in or boneless options for optimal performance. The Titan Series Injectors ensure uniform distribution, improved retention, and increased productivity. 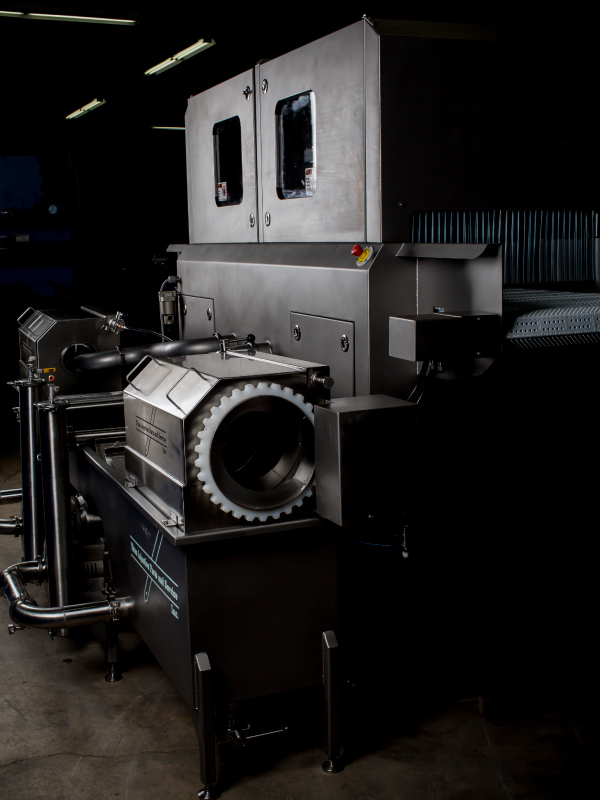 When combined with our mixing and chilling systems, our equipment allows meat processors to maximize production while enhancing the quality of the finished product. Titan Injection proudly serves food processors all over the globe. We treat our customers like family no matter where they’re located on the map. Our international partners receive the same quality service as our American partners. The Titan Response Team will travel anywhere in the world to ensure your satisfaction, whether you need an installation, maintenance, or a replacement. At Titan Injection, customer satisfaction is our main ingredient to success. Our goal is to understand your meat processing business from the inside, out so we can customize the best solutions for your flavoring needs. We strive for unmatched customer support every step of the way, from expert equipment design to professional assembly and service. Think of us as an extension of your team. Our representatives provide detailed training, fast follow up, and superb service for the life of your machine. Nuestros representantes son bilingües en inglés y español. Todos nuestros equipos están diseñados y fabricados para satisfacer las duras exigencias de la industria cárnica. Estamos listos para ser su socio de confianza en el procesamiento de la carne y el equipo de condimentación.